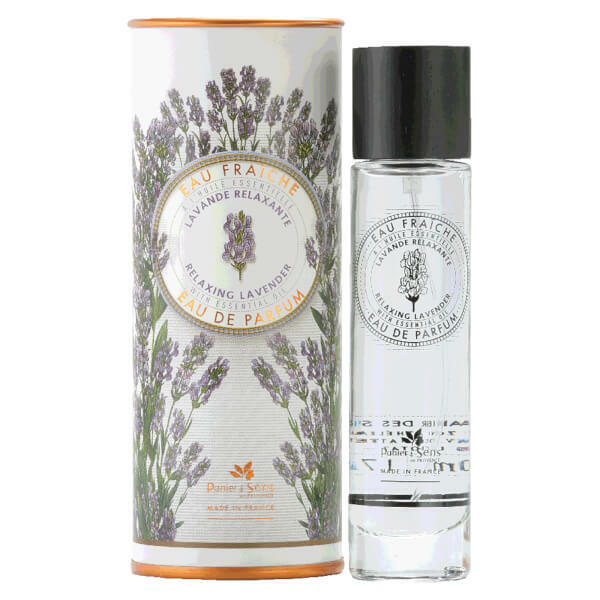 Soothe your body and mind with the Panier des Sens The Essentials Relaxing Lavender Eau de Parfum, a classic fragrance that restores calm and tranquillity. Elegant notes of Lavender Flowers open the perfume, mingling with heady accords of Rosewood at the heart before settling on a base of Tonka Bean and White Musk. Working to combat problems such as stress and insomnia, the deeply relaxing scent helps to settle the mind for a refreshing, restful experience. Base Notes: Cedarwood, Tonka Bean, White Musk. Apply on pulse points: wrist, inner elbow and neck. Alcohol Denat. Sd Alcohol 39-C, Aqua (Water), Parfum, Ci 19140 (Yellow 5), Ci 42090 (Blue 1), Ci 17200 (Red 33), Lavandula Angustifolia (Lavender) Oil, Citral, Geraniol, Linalool, Citronellol , Coumarin, Limonene, Anise Alcohol.